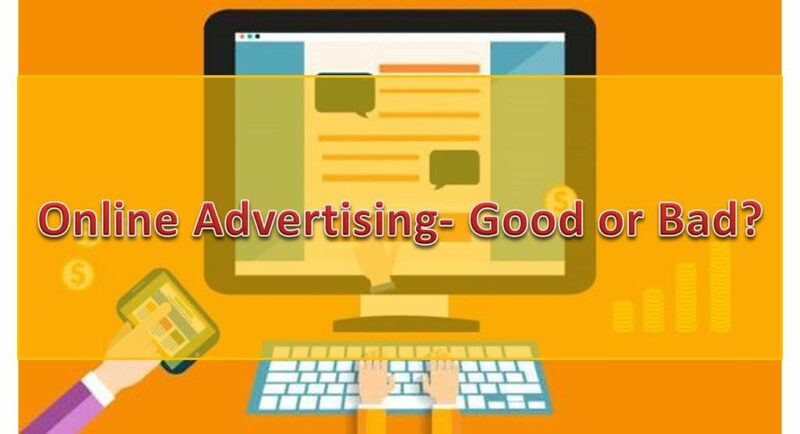 Raised Eyebrows on Online Advertising- Good or Bad? Are you worried about online ads messing with your head? Don’t be, as there are many people and organizations. They are there to raise a voice of concern at the very least and take legal actions bringing down the level of online ads that are not good for general psychological health, whenever the lines are crossed. But, shouldn’t we also be talking about the business community, as well? Still, we have to get into the primary details of the issue. If you are wondering what lines we are talking about when there are online ads of all kinds. There are those that fly all over the screen; pop-up from out of nowhere; start a music audio/video without requiring permission; cover the main content of the site, and so on so forth. Actually, here the heated discussion is over the ads that are made to blend with the website so innocently that they appear nothing like an ad. It simply leads to the reader end up believing the content being an unbiased opinion. The kind of ad under discussion has gained the name- native advertisement. There are chances that Federal Trade Commission (FTC) of the U.S. might term it illegal. At a conference on â€˜Blurred lines: Advertising and Contentâ€™, FTC indicated that the advertisers should be telling the web-surfers clearly announcing what is a paid ad (in the form of article, blog, video, review, etc) or an actual testimonial/experience (non-biased opinion). Deductions are made to the extent of bringing explicit regulation if the organization notices any advertiser or publisher fail to do so. The efforts made by the FTC to control the over-doing native advertising are noteworthy, like sending letters to major search engines to allow users know which search results form part of paid services and which don’t. Similarly, they asked the reviewers/ endorsers/ bloggers who are commenting about the product or service, to make the readers aware if they have received any cash or other gifts for the content material under discussion. No one really wants to do something to that might put them under scanner. The same is with the business community. Having a great product and/ or service, reaching out to client and maintain a good relationship almost always gets hectic. And they rarely (but sometimes surely) know that they have overdone their â€˜outreachâ€™ activity. An organization keeping a check comes as a great relief to everyone. Moreover, the workshops and conferences to highlight what might come across as bothering are appreciated by almost all the group of people. As a concluding remark, it would be better to say that the good and bad is hidden in the extent a strategy, technique, etc (in this case it is online advertising) is either used or abused. Those with their own theories on the above subject matter may continue to debate on the issue as long as they have the content as well as the strength. However, harmony must always have the centre stage, be it ads or people!